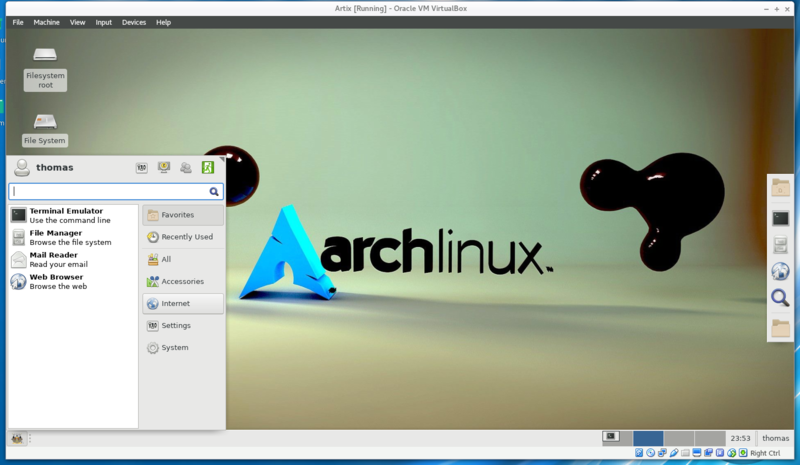 Artix is a new Arch based distro that is coming from Manjaro (or something like that)! The Artix people are no big fans of Systemd and firmly believe that it represents the dark side of the force. Artoo has been maintaining an OpenRc version in Manjaro which will be discontinued. The Artix people found it to hard to maintain a Manjaro OpenRC version so they forked it to get completely away from Systemd. Why? Does not Systemd represent the standardization that the Linux world has been screaming about for years? Some people suspect that when a code gets Huge and is managed by big corporations and looses transparency then there is a potential for exploiting it. I wonder why? We all know that the US government or any other government in the free world would not dream of something like that....right? Anyway these crazy guys decided to make a distro that is systemd free and based on Arch. The main developer Artoo is clear about one thing; You need Linux experience to go for Artix - this is not for greenhorns. Fair enough.... and since I do not consider myself a greenhorn I downloaded the iso and decided to install it in a VM. So I fired up the iso in VB and got a setup interface from the installer - Calamares - that was way out of proportions - but manageable with a lot of scrolling. Chosing lxqt and keyboard etc. It all worked so I booted in to a nice lxqt DE. Here I found no "Install here" button so the Artix guys were not kidding...this is not for beginners. I found the Calamares installer under "System" in the menu and fired it. Here I was prompted for a password and simply tried "artix" which worked. Booting into the system I did remove the Signature security in Pacman to avoid complaints during the installation and setting up keys - it is explained on the Artix site . 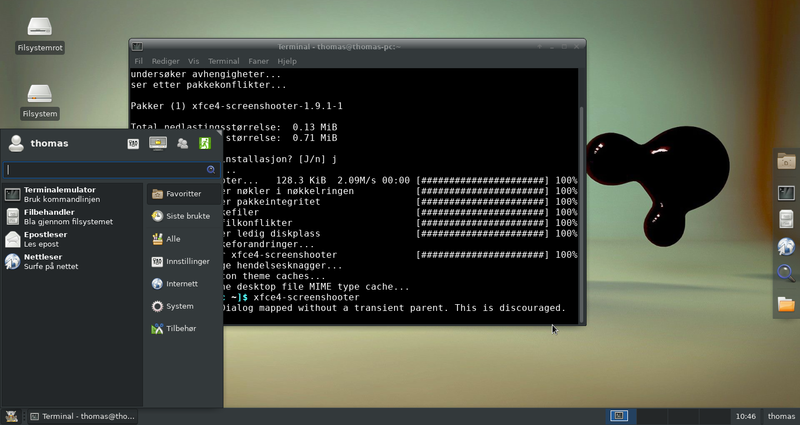 Now it was time to install xorg and xfce4 with pacman. no problems there. Since I wanted to auto-start xfce4 I edited ~/.bashrc and added startxfce4 at the bottom. Time to enjoy the fruits of my work then...rebooting and got to a CLI login. rc-update -v show	Display all available services. rc-service (start, stop, restart, status) daemon	Change service state. rc-update (add, del) daemon	Turn service on or off. So far it works like Arch or Manjaro but without the bloat of systemd. I installed a few themes and changed the look and feel again. It is all there so I still don't miss anything. Even If I do not miss anything yet - I know I will sometime in the future. Yaourt is an AUR helper that makes the handling of these packages very easy and I have been very happy with it over the years. 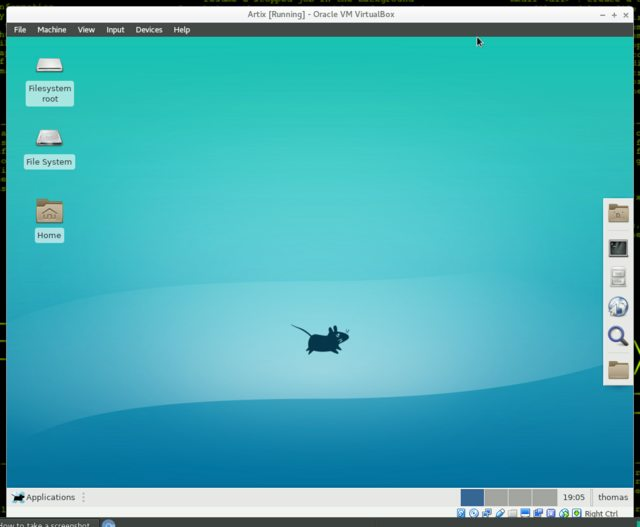 In Manjaro we are spoiled with Yaourt working out of the box - this is not the case in Artix because it is Arch based. So time to get this thing then. Just do it after the "monkey see monkey do" method and you will have a working Yaourt and can install anything from the AUR. At this point all developers will warn you and tell you how bad and dangerous AUR can bee. ..And just as I had finished the install I discovered that I do miss the Tor-Browser! So this alone justifies the access to AUR since Tor is not in the repos. Artix is stable and gives no surprises. I dont miss anything and it works just like a regular Arch or Manjaro. The difference is the lack of the bloated systemd. Behold ....Artix the movie (client in VB in Manjaro). Very nice. I have a new computer on the way. Who knows, I may give it a shot. Yes this is a good one and would be right up your alley. Nice. I'll still have a wait for the computer, looks like, but I know I'll be perfectly happy to dump systemd on its arse.